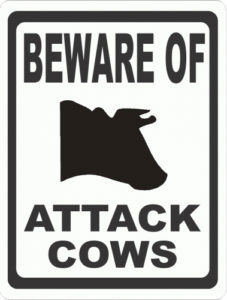 I loved going to my Uncle’s Farm except for When Momma Cow Attacks. When I was a kid, on Sunday after church, my family and my buddy Travis would go. We’d have lunch, go fishing and scuttle around the woods and pastures in search of adventure. One particular summer, I might have been 11 and my buddy Travis 12, adventure seemed to always find us. It was in the form of a 1500 pound Momma Cow. We called her “Ms Phillips the Terrible” after a teacher I didn’t particularly like. 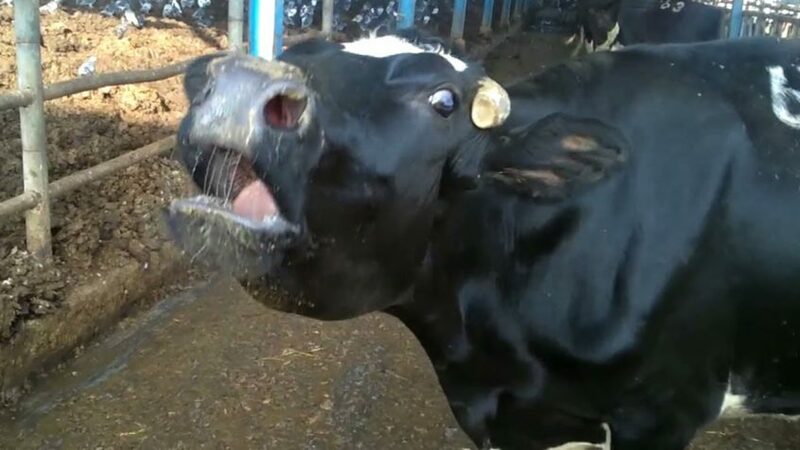 If we were going to title a movie it would be When Momma Cow Attacks. Ms P was a cranky bovine if I’ve ever seen one and she was just looking for trouble. She had a crazy sense. If we’d set foot in the pasture she was in, she’d know it and come after us. On several occasions when fishing one the the cricks she’d sneak up behind us a give is quit a charge. We even ran up a tree once to get away. Mid summer, must have been 1988, we were close to the barn. We heard rumors of “White Lightning” so we were looking for mischief. I remember that my uncle had a board fence corral and there was old “Ms Phillips the Terrible.” She was literally “as big as a cow.” We didn’t know it, but she was getting ready to calve. We were determined to get back at Ms P for scaring us in the field so many times. She was locked up in this corral and it was her turn to be scared. We got our hides tanned for this when my dad saw us and Ms P running around. We surrounded the corral and threw rocks at her, got a stick and poked at her and called her all type of names. We giggled but she got so rilled up that she broke right through that board fence and ran after us. Well, like I said, our discipline was swift and just. Thankfully we were fast enough to get away and we jumped into my uncles old Ford F150. Don’t let your kiddos mess with the cows like that. I learned my lesson and have a deep respect for animals of all sorts but two: board fence does not compare to what a Guardrail Corral, Arenas, Feed Bunks, Windbreaks etc… can do for you. Do you want to know the answer to When Momma Cow Attacks? It’s guardrail! At LiveStock Steel, Guardrail Panels match up perfectly to the older used highway guardrail panels. 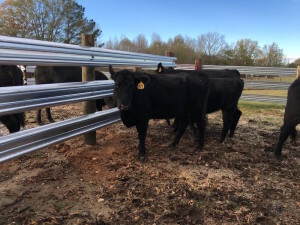 LiveStock Steel Guardrail Panels are exactly the same dimensions as the 26 foot long by 12 inch wide W-beam highway guardrail panels. The mounting and splice holes and post spacing slots are just the same as the older used highway guardrail. 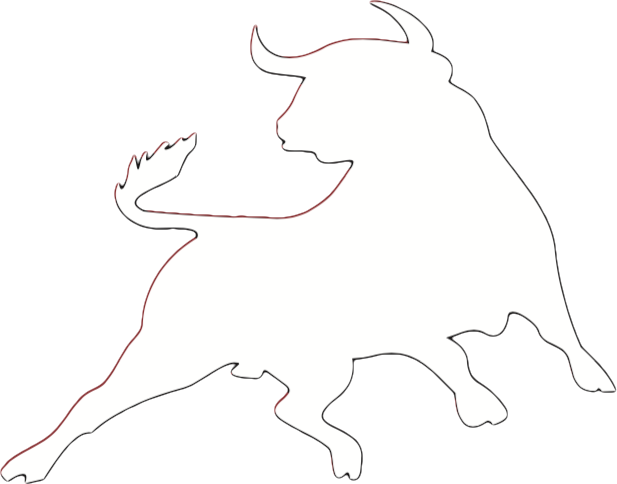 You may ask, “Where’s the difference in the new and the used?” Most importantly, the difference is in LiveStock Steel’s positively solid quality, its gauge, and its straight-arrow consistency. There’s a lot more to this story and our long long penance but Ms P calved fine and lived a happy cranky life.